You are invited! 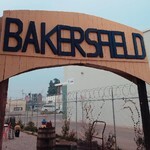 Join us March 9th for Second Saturday in beautiful Downtown Bakersfield. We will host 12+ pop-up vendors in our parking lot, INCLUDING The Curbside Kitchen!!! It will be a fun day Downtown- Eat. Drink. Shop LOCAL. SAVE THE DATE! !